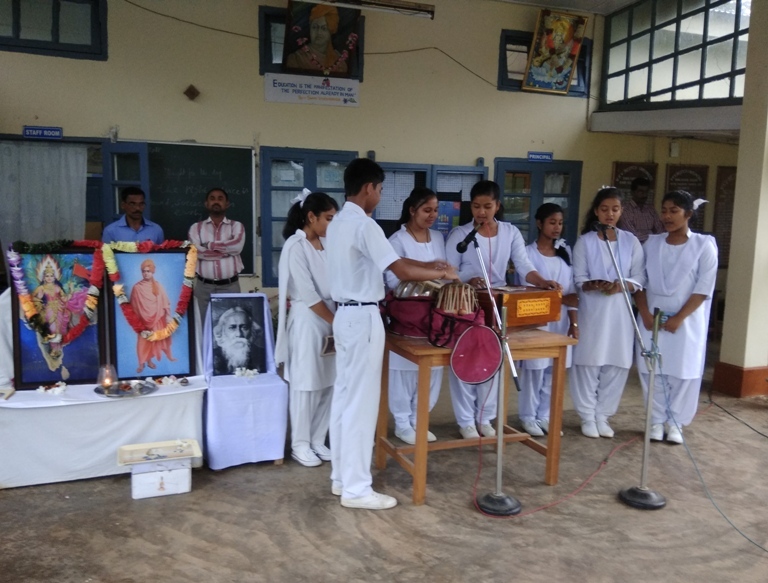 Vidyalaya observed Ravindra jayanti in the morning assembly in brief. 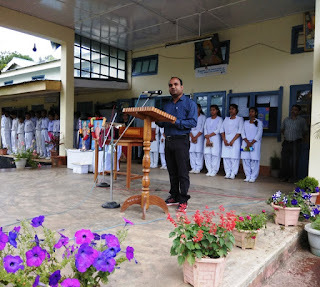 It began with floral tribute to the great patriot- poet Rabindranath Tagore by Sri S N Purkayasthya (PGT Biology). 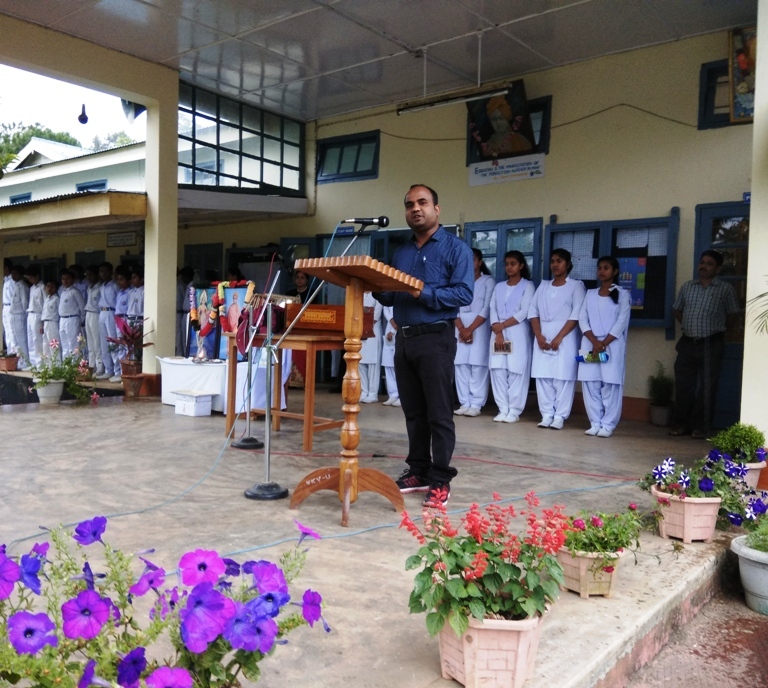 Sri Kamal Sutradhar (TGT English) spoke on this great man and his contributions to Indian society. 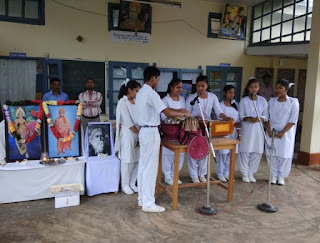 A group of students from different classes sang a song composed by Kabiguru Rabindranath Tagore.